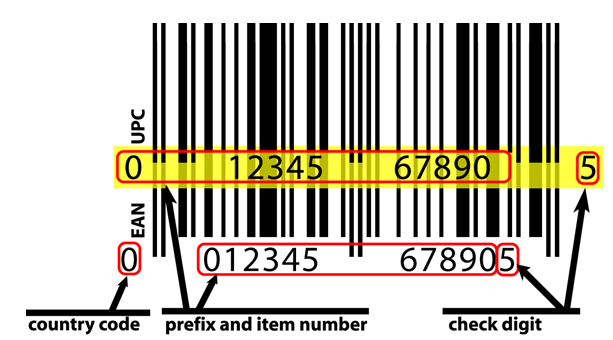 This tutorial will help you understand the differences between UPC Barcodes and EAN Barcodes. 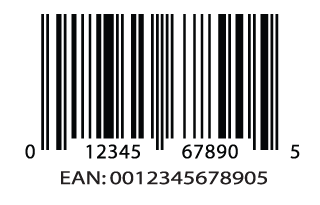 Below are both an EAN barcode and a UPC Barcode. The EAN contains a 13 digit number and the UPC contains a 12 digit number. When I conceived the U.P.C. for the grocers in theU.S.only 12 digits were required including the check character. I designed a symbol in which the left half of the symbol was composed of “odd” parity characters and the right side was composed of “even” parity characters. Each printed character has two bars and two spaces and is made up of 7 modules. Odd parity simply means the printed representation of the numeric digit has an odd number of dark modules. Conversely even parity printed digits have an even number of dark modules. With the acceptance of the EAN in Europe it was understood that the U.P.C. was actually 13 digits because the parity pattern of the left half of all odd characters was assigned the value (or country flag) of “0”. I pointed out that the UCC only printed 11 of the 13 digits and carried only 10 digits in the system. The UCC continued the delusion by using the foolish argument that “0″ means nothing and therefore could be ignored. On the other hand, the European’s were smart enough from the very outset to call the EAN symbol what it is, “EAN-13” and they printed all 13 characters. Systems inEuropecarried all 10 country flags including 0 in their records and their systems could process both U.P.C. and EAN symbols and/or numbers. TheU.S.groceries chains at the time were selling very few foreign goods and saw no reason to spend money modify their installed equipment. Although the U.P.C. was not widely accepted at that time, the UCC accommodated the foreign companies by issuing them U.P.C. numbers with the invisible country flag of “0”. 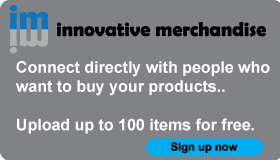 Combining UPC and EAN barcodes for packaging design. When you purchase barcodes from UPCBarcodes.com, you receive a few things including a spreadsheet of numbers and barcode graphics.